Lovely products being loved in wonderful homes. And dont they look gorgeous! The first pic is from the lovely Meagan. And the second is from the darling Sarah. Thank you for the feature! Very elegant, I lake it! 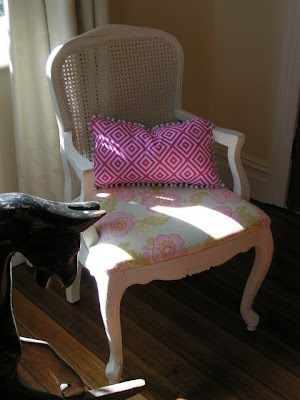 that pink pillow, pom pom trim and floral fabric are yummy! Hi Kellie, I have just tagged you for some revelations but no pressure. How lovely of them to send you photos, Kellie. I can understand how much that would tickle you! Love the pop of pink in the darling pillow...definitely a statement piece!! Oh how gorgeous! I especially love the first picture!!! p.s. Be sure to enter my jewelry necklace giveaway when you get the chance! Lovely homes, lovely pillows! Great decors. 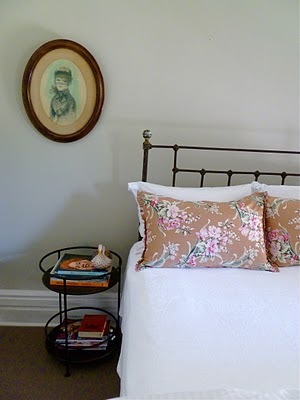 I am such a sucker for good linens and Beds!simple schemes with subtle introductions of delicate yet chic hues!Adorable space!